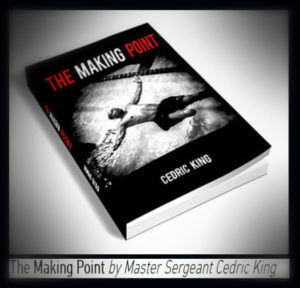 Retired Master Sergeant Cedric King entered the United States Army in 1995. 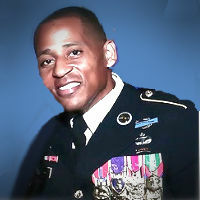 During his illustrious career, Master Sergeant King served proved himself to be an exemplary soldier graduating from several distinguishing schools in the Army, including but not limited to: the United States Army Jumpmaster Course, United States Army Pathfinder course, Air Assault course, The United States Army Ranger Course. 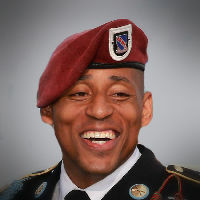 He is also the recipient of the Bronze Star, the Purple heart, the Meritorious Service Medal and is a Four time Best Ranger Competition competitor. 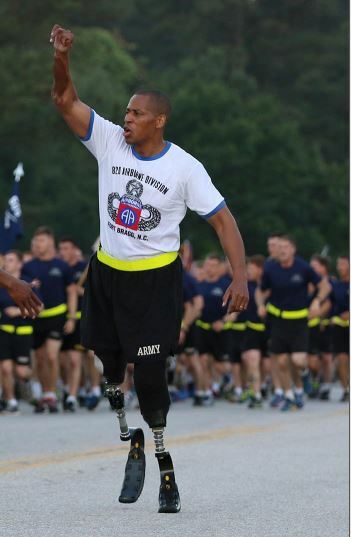 On July 25,2012 during his second tour in Afghanistan, Cedric was severely injured by an Improvised Explosive Device which caused him major internal injuries, permanent damage to his right arm and hand and the amputation of both of his legs. Being adapted to change is simple – we cannot get so caught up with the way things are, and believe that somehow it is how everything will always be – we have to be adaptive. We have to reach a point where we can grasp that the past is what life was, and it was a gift. But this is what life is now, and it is also a gift. The one thing that must remain the same is our attitude. Whatever the change and challenge is, we must decide that our attitude must be the one constant in the equation. Most people hold the mindset that they will maintain a positive attitude only when circumstances are good, and when circumstances are bad, then their attitude will follow suit. This way of thinking is a pure recipe for destruction of the soul. No matter what the weather is like that day, no matter what taxes you bare, no matter who is elected into office, and no matter what your income is – you will win. That is the only way you can adapt to change. Just as troops need to be motivated by their general, my inner warrior needs inspiration to know that I will figure it out –I may not know how, but guess what, I will figure it out! Until hard times get better, I will put a smile on my face and keep a song in my heart. And even if the worst case scenario occurs and time doesn’t heal my wounds, I will continue to be a happy and celebrated person and I will refuse to let the obstacle dominate my life. Think of the obstacle like a tailor-made suit. It is cut and customized for your shape only. Your obstacles are specifically tailored to your fiber and reality of your life. But these obstacles are not out to destroy you – they exist to turn you into a better version of your current self. We often allow the obstacle to frustrate and destroy us through an ongoing inner dialogue. You must change your relationship with the obstacle and stop perceiving it as an enemy, because if you don’t, you are permitting the obstacle to stop you from reaching your goal. When you begin to befriend the obstacle, everything changes. . Instead of beating myself down and believing I can’t do one thing because I don’t have another, I have restated and renamed the obstacle as my friend, my employee, and my sparring partner. Although a sparring partner and his opponent look a lot alike when they are throwing punches at one another, the fighter we are knows that the sparring partner is not there to hurt us, and if he stopped throwing those punches, our reflexes, instincts and strength would never sharpen and improve. The obstacle knows your greatest weakness. It is smart in this way, and tries to stop you from overcoming it with your own strength and talents. If you don’t like your boss, you might wish to switch to another department, or if you’re unhappy with your spouse, you might just give up and believe you are simply no longer compatible. But if you trust the obstacle, stick with it, push through the pain, and challenge yourself. Sooner or later, your old weakness will become a new-found strength, and this is one of the most gratifying feelings in the world. Issues that used to frustrate you will leave you with a deep sense of peace that you never would have reached if the obstacle had not entered your life. Dealing with failure is something so engrained in my experience. I have never been the type of person to seize success during the first try. 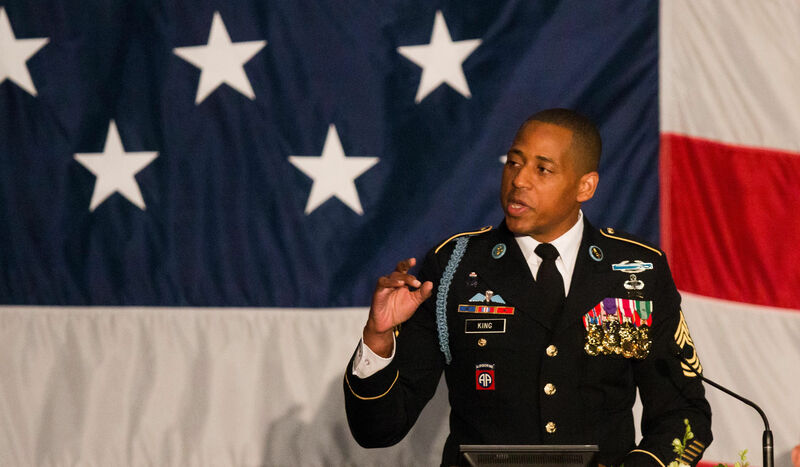 I don’t view failure as a downfall, I view it as a necessary component to succeed When I first joined the army, I could not shoot to save my life and my bullets missed the target time and time again. But I’ve learned that success only came after repeated, grueling failure. 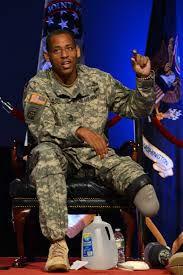 Setbacks in life is the form of tuition you must pay to accomplish your goal. Although it sounds cliché, I have failed so many times in so many things that I look at failure as part as what it takes to succeed. Today, the things I’m the best at are what I’ve failed at the most. After so many times at getting it wrong, I understood that getting it wrong is the tuition that you pay to succeed. Your brightest skills and talents tend to be the ones where you have experienced the most miserable failure at one point in time. Part of success is knowing how it feels to be on the other side of failure and understanding how far you have progressed from failure to success. People who were so successful in the very beginning rarely stay on top. They reached the mountain top so quickly that when they inevitably did slip and fall eventually, their growth was severely stunted. Failing makes you turn around and hit the books to find out what you have been doing wrong. 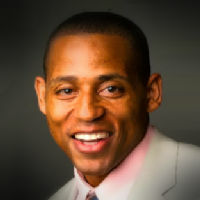 The person that walks through the correct door during their first attempt, neglects to discover all of the other potential doors that they could have explored. Once you determine what you need to improve upon, it becomes easy to find the right door to open. I was lucky enough to fail earlier on and I have been down long enough to know how it feels to be down. So when it was time to come up, nothing could stop me. I knew where I went wrong at. When you know where you go wrong at, it’s so much easier to make that little correction. Failure is the tuition that you pay. There’s no graduation without paying tuition. And there’s no success without you failing. People with the best attitudes always rise to the top eventually. Attitude is the one trait that separates winners and the successful leaders from everybody else. For a long time, I thought that the smartest, strongest, fastest and most naturally talented people who were handed fortunate genes were the same people that always won. I began to take notice that men with the most positive attitudes always ended up winning and outshining the more innately gifted people. . They did this by finding a way to avoid complaining when everyone else was. Attitude is a choice and is something you have to practice in order to be able to stop looking at life with a discouraging perspective. There will be days with poor weather conditions, heavy traffic, delayed flights, and lost luggage, but you must find a way to decide that you will take charge of your feelings and resist negativity. Although we cannot control many aspects of life, we can control our attitude. Once you have a firm understanding of your emotions, the circumstances that used to bother you will no longer have power over you and the poison, hate, and frustration that surrounds you cannot be let inside. Just because you get dealt a bad hand, does not mean you have to play a bad game. A bad hand got dealt to me and I caught a bad break, but I never allowed that to dominate my life. People that win card games don’t do so because they get lucky, they win because of how they decide to play with the cards they were dealt. You always have the authority to make a choice to win no matter how long it may take you. People with an optimistic attitude are aware that an obstacle is not their enemy, but is their ally that has come to help, not hurt them. Inside of all of us, there are two voices, two inner dialogues that we deal with, and sometimes the loudest voice believes you can’t succeed. It’s this annoying voice in your head that tells you that you are not good enough, you’re not smart enough, you’re not pretty or handsome enough, you don’t have enough money or enough knowledge, that you’ve never done this before etc… But there is another voice too, and depending on which voice we’re listening to the most, that voice will be the strongest. I like to think of these inner voices like two scoreboards inside of us; one that resides inside of us and one that projects to the outside world. When I talk to professional sport teams, I tell them that if their inner scoreboard is always losing, they have no chance of bringing that outside scoreboard up to a winning number. If you’re not winning on the inside, you can’t expect winning on the outside. You have to start with inner talk. Believing in yourself begins with encircling yourself with influences that encourage positivity. Now what about people who don’t have a previous cache of wins and victories to look at? Society has taught us that medals, trophies, and certificates equal success. But positive reinforcement can be accomplished much more profoundly than through these material tokens of triumph. Always strive to be impeccable with your words and your deeds. If you say you’re going to do something, do it, and do it with excellence. Excellence does not mean perfection, but it does mean perfect effort. You just have to give the perfect effort and allow the outcome to take care of itself. When you execute with perfect effort, you never have to look back and find a trophy or a diploma from the past. Just look back at the things that you said and that you did and you can be proud of who you are. Faith means recognizing a mental state where you are able to believe in something that you cannot see. I think this concept is really what life is all about. You must learn to believe in unanticipated outcomes that you have no power to predict. We all face times in life when we are lost and wondering what in the world is happening to us, and that is why we must say “yes” to faith. Achieving this balance has nothing to do with earning a certain amount of money or mimicking something you have seen on television, but rather, trusting that unknown possibilities exist and accepting that reality. I don’t know if my children are going to graduate from high school or college, or where the money to pay for that education is even going to come from, but even without those answers, I have come to terms with the reality that I will figure it out. I may not always know how I am going to achieve a goal, but at least I have faith that I will make it happen. 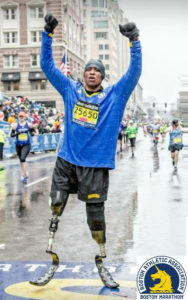 I don’t know how I am going to be physically able to run my next marathon, but I felt the same way before I ran countless races in the past and somehow I took a walk of faith and accomplished what I once thought was impossible. Faith will never demand you to achieve something in life with any particular resources that you don’t already have, all you need to do is believe in yourself and maintain a positive outlook.